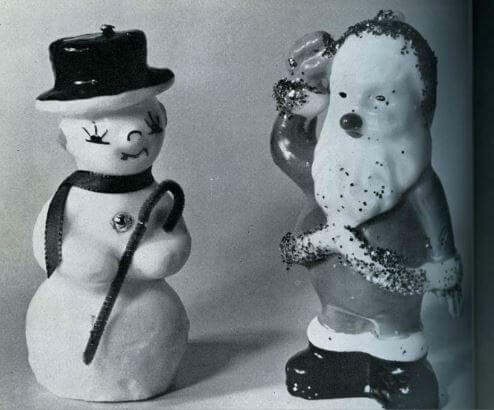 March 1965: The value of Christmas decorations exported in 1964 was over HK$7 million. Electric light sets comprised the bulk of exports but plastic Christmas trees, candles, tinsel, paper lanterns and decorations were also prominent. With Christmas being celebrated in most countries of the world it is not surprising to find Christmas decorations being exported to over seventy countries. Britain is by far the leading buyer but the USA, Venezuela and South America also purchase substantial quantities. The selection of candles is larger than ever and whilst some are specifically for use only at Christmas, others may be used throughout the year. The delicate colours of the ‘sandwich’ candles make restful permanent ornaments. 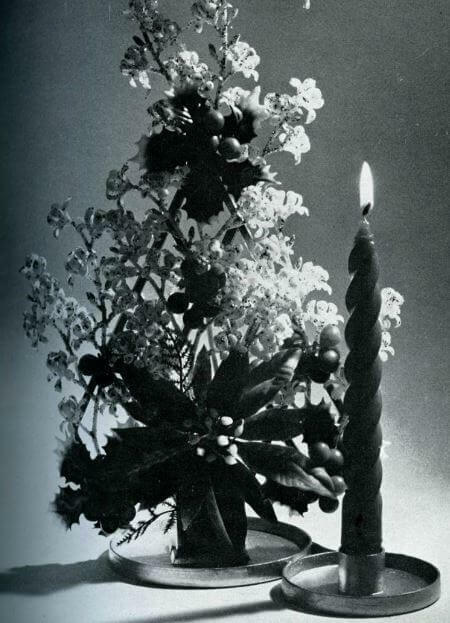 Similarly some flower arrangements, mainly associated with Christmas, may be used to add colour to the dinner party table…. Source: Commerce and Industry Department, “Christmas Decorations”, Hong Kong trade bulletin, Hong Kong: Commerce and Industry Department (March 1965), pp.71-75.